WHAT IS Q U R'A N ? ... ...HOW IS DEFINED ?. HOW IS THE QUR'AN DEFINED? And a unique, comprehensive Sacred Book, comprising many books,to which recourse may be had for all the needs of all mankind. And it is a Revealed Scripture like a sacred library offering treatises suitable for all the various ways and different paths of the all the saints and the veracious ones and the wise and the learned, which is appropriate for the illuminations of each way and enlightens it, and is suitable for the course of each path and depicts it. it is Allah`s Word in regard to the Sustainer of All The Worlds. And it is Allah`s decree through the title of Allah of All Beings. And it is an address in the name of the Creator of the Heavens and the Earth. And it is a conversation in respect of Absolute Dominicality. And it is a pre-eternal discourse on account of universal Divine Sovereignty. And it is a notebook of the favors of the Most Merciful One in regard to all- embracing, all-encompassing Divine Mercy. And it is a collection of ad- dresses at the start of which are certain ciphers in respect of the tremendous- ness of Divine Majesty. And through its descent from the comprehensive- ness of the Greatest Name, it is a Sacred Book full of wisdom which looks to and inspects all sides of the Sublime Throne. It is because of this mystery that with complete fitness the title of The Word of Allah has been given to the Qur`an, and is always given. After the Qurtan comes the level of the Books and Scriptures of the other prophets. But the other innumerable Divine Words are each in the form of inspiration made manifest through a special regard, a partial title, a particular manifestation, a particular Name, a special Dominicality, a particular sovereignty, a special Mercy. The inspirations of the angels and man and the animals vary greatly with regard to universality and particularity. THE QUR`AN: is a Revealed Scripture which comprises in summary the Books of al1 the prophets, whose times were al1 different the writings of all the saints, whose paths are all different, and the works of all the purified scholars, whose ways are all different. Its six aspects are all brilliant and refined of the darkness of doubts and scepticism; its point of support is certain heavenly revelation and the pre-eternal Word; its aim and goal is self-evidently eternal happiness; its inner aspect is clearly pure guidance; its upper aspect is necessarily the lights of belief; its lower aspect is undeniably evidence and proof; its right aspect is evidently the surrender of the heart and conscience; its left aspect is manifestly the subjugation of the reason and intellect; its fruit is indisputably the Mercy of the Most Merciful One and the realm of Paradise; and its rank and desirability are assuredly accepted by the angels and man and the jinn. 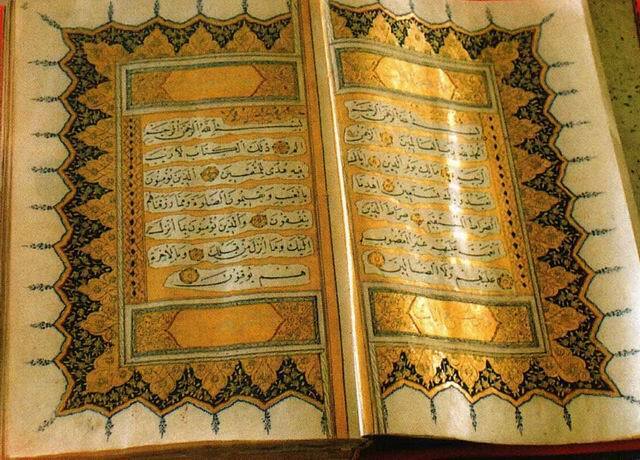 WHAT IS QUR'AN?® HOW IS DEFINED?